Budget Week: shoots of growth, or frosty chill? It's a big week for Scotland's economy and politics. Thursday is Budget day. Derek Mackay still lacks the red briefcase outside Number 11, but he does have some significant new tax levers to pull. He's also got some tricky spending decisions to make. The squeeze last year wasn't much of a squeeze, and more of a stalling. This year sees a return to real terms cuts. More of both later in the week. For now, let's look at the wider economy. 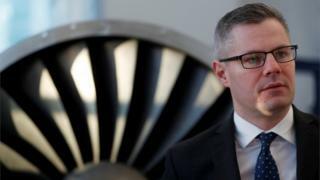 This week will see the Scottish Fiscal Commission (SFC) spring to life, with a new role in providing a forecast for growth in the Scottish economy and its assessment of Derek Mackay's revenue figures. It's fashionable to dismiss growth forecasts as being about as much use as astrology. The difference with this one is that it's the basis on which the Scottish government's budget has to be based. If Lady Susan Rice, the former TSB Scotland chief executive who chairs the Fiscal Commission, declares that growth is going to be low, that feeds through to her revenue projections. Slow growth in output means low growth in the income from which income tax is derived. And those are the numbers with which Mr Mackay has to juggle. He may not like them. But that's the point of the SFC being independent, as it is with the Office for Budget Responsibility (OBR). The SFC can base its estimates on various sources of information. An important guide is the OBR's forecast, as published on 22 November. That was for a sharp downgrading of growth over the coming years, because the OBR has abandoned its optimism about British productivity returning to trend growth. It's now assumed that it's stuck in the very slow crawler lane. The SFC has to make a judgement if the Scottish budget is similarly stuck. It may not do so this time, but it's hard to see that Scots productivity is doing any better than the UK as a whole. The 2015 figures showed Scotland catching up with the UK rate, having previously lagged. More recent indications from Scottish government statistics suggest that Scottish productivity has fallen behind again. What are the other bits of information feeding into the SFC's forecast? The EY ITEM Club (sounds a bit more fun than it is) of economists was relatively upbeat when it issued its latest report on Friday, saying Scottish growth next year looks like it should match the UK rate next year. It forecasts 0.7% growth for this full year, and 1.4% next year. That assumes that the Brexit negotiations don't stall, and that business can look to a smooth transition. Quite a big assumption. It's not so upbeat about the path to 2022, forecasting that Scottish growth will lag the UK rate - 1.7% to 2%, on average. That's how public spending gets hurt - if income tax falls behind the level that would have been passed to Holyrood through the block grant under previous funding arrangements. The Fraser of Allander Institute at Strathclyde University sets out its growth forecast tomorrow, that being Tuesday - too late to influence the SFC. Its last central estimate, published in September, was for 1.2% growth this year, rising to 1.4% in 2018. Car sales figures were truly dire last month, and have been going in that direction for several months. This is partly due to rising prices, and partly due to the lack of confidence in diesel (registrations down 41%). But a fall of 24% in total new car registrations from November 2016 - much worse than the 11% UK fall - ought to weigh on policy-makers' minds. The Purchasing Managers Index (PMI) out with the start of this week, is an important gauge of private sector activity, or lack of it. The good news is that optimism for the next six to 12 months is looking up. Cost pressures are easing a bit. The bad news: very weak recent output figures - far more so than the UK PMI - have become weaker still. If it's at 50, the index suggests the private sector economy has stalled and is on the brink of contraction. The November survey registered 50.2, the lowest for eight months. That bad news chimes with concerns raised in recent business surveys about investment levels. The economy needs them to rise. But business confidence is lacking, and the surveys point to further weakening. Consumer confidence, or at least a willingness to keep spending, with very low interest rates, has been a vital element of keeping the economy growing over recent years. But yet more surveys, including one regularly done for the Scottish government, are not looking good. Employment figures are much more positive. The trends show Scotland is holding steady with the UK figures on unemployment and employment levels. The question marks are over the quality of those jobs, the low productivity linked to them and whether they are sustainable. The regular IHS Markit survey of recruitment consultants, published last week and also covering November, confirmed that the labour market is looking tight, with worries about skill shortages, not least to replace departing EU citizens. As Kevin Green, boss of REC, the recruiters trade body, reminds us: "Having less access to candidates can have severe effects, restricting businesses' ability to grow which means they won't be able to create jobs or increase pay for staff." The strongest indicators in the economy are from manufacturers, helped by the the weakened pound making it easier to sell abroad, and to compete with foreign suppliers on their UK turf. Scottish Engineering, the organisation representing that sector, published a particularly upbeat quarterly survey at the start of this month. It's part of a picture that's taking shape, of the offshore oil and gas industry rebooting its mojo, though after a very steep drop. The only engineering sub-sector finding things really tough-going were machine shops and fabricators. BiFab is one such fabricator with well-publicised difficulties. So if you're Lady Rice, one of the other commissioners or of the 20 staff at the Scottish Fiscal Commission trying to decide what will happen to growth in the next year and beyond, what lesson do you take from this? There are positives, for sure, but with uncertainty contributing to weak confidence, it's hard to see that Scotland's growth is going to be any better than the UK as a whole, and there is plenty evidence to suggest it will be lower. Is that a good time to use those new income tax powers in order to raise revenue, counter austerity, and help public services? More on that soon.